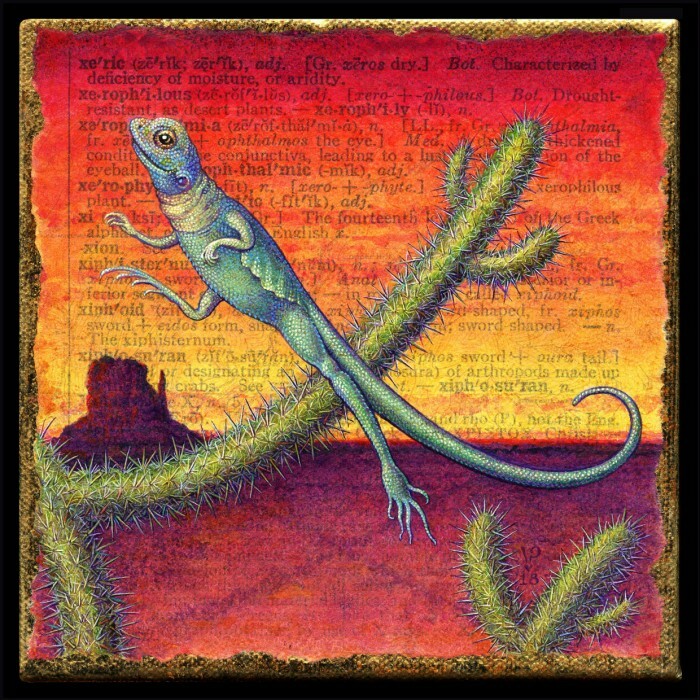 Thursday’s word for A.Word.A.Day is “xeric.” I was born in Texas, so I had no trouble envisioning cacti & lizards, but to get them to form the letter X, I needed an acrobatic member of the lizard family. Luckily the collared lizard fulfilled that requirement with elan. The cactus is (very loosely) based on the xique-xique of Brazil. I doubt the two species ever share the same natural habitat, but I never claimed to be a realist! 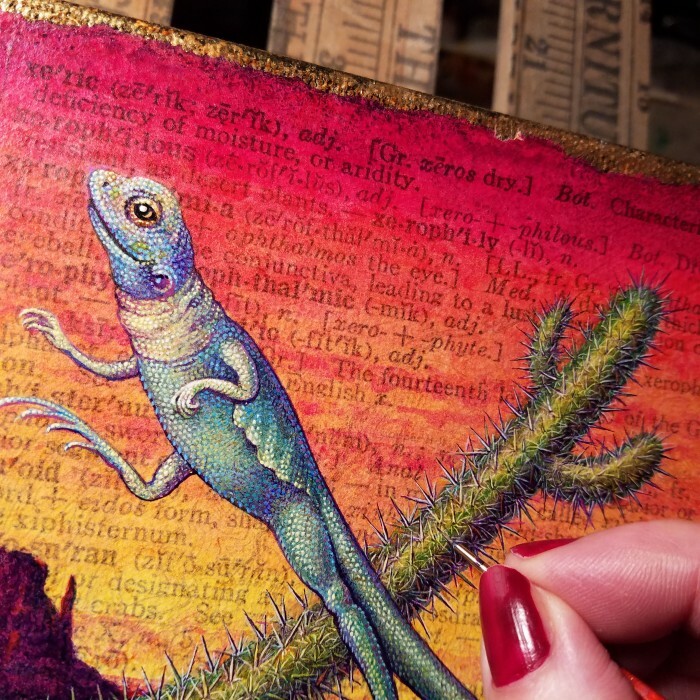 Painting all those little scales & spines wasn’t quick or easy, but it put me into a sort of trance-like state. I imagine trekking across the desert would be a similarly ponderous & meditative experience. Unless of course you’re a collared lizard! This painting is now on display at GreenHill NC as part of their Winter Show through 18 January 2019. Prints are now up in my Etsy shop! This entry was posted in A Word A Day Illustrations, Paintings, Prints Available, Uncategorized and tagged A Word A Day, Acrylic, Art, AWAD 2018, Collared Lizard, Desert Life, Landscape, Leah Palmer Preiss, Letter X, Painting, Xeric, Xeriscape, Xique-xique on 5December 2018 by Leah.